We previously reported how speed cameras which systematically issued erroneous citations in Baltimore City had passed all of it's calibration tests. 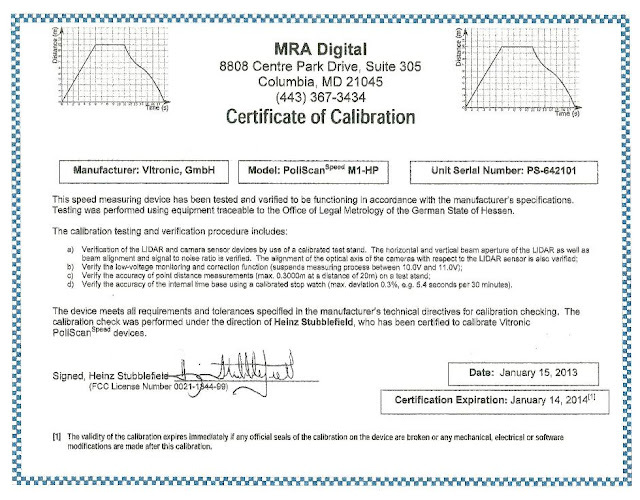 It turns out, the same company which "certified" the faulty hardware, which falsely accused trucks of traveling at twice their actual speed and even issued citations to motionless cars, also certifies equipment used by the SHA, Baltimore County, and the City of Rockville, and other jurisdictions in the state. 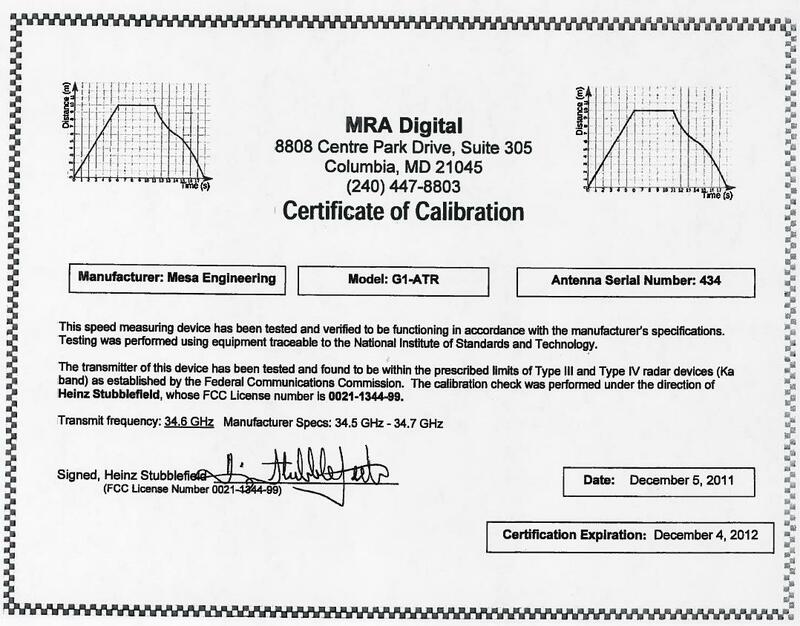 Below is one of the certificates for a Mesa Engineering G1-ATR, issued by MRA Digital. This camera was formerly located at 1300 West Cold Spring Lane East Bound, which Baltimore City and Xerox Corp has admitted was responsible for issuing hundreds of erroneous citations, with more than one out of every 20 citations turning out to be due to an error. We also obtained the daily setup logs for the camera, showing that the device passed all of its daily self tests as well. 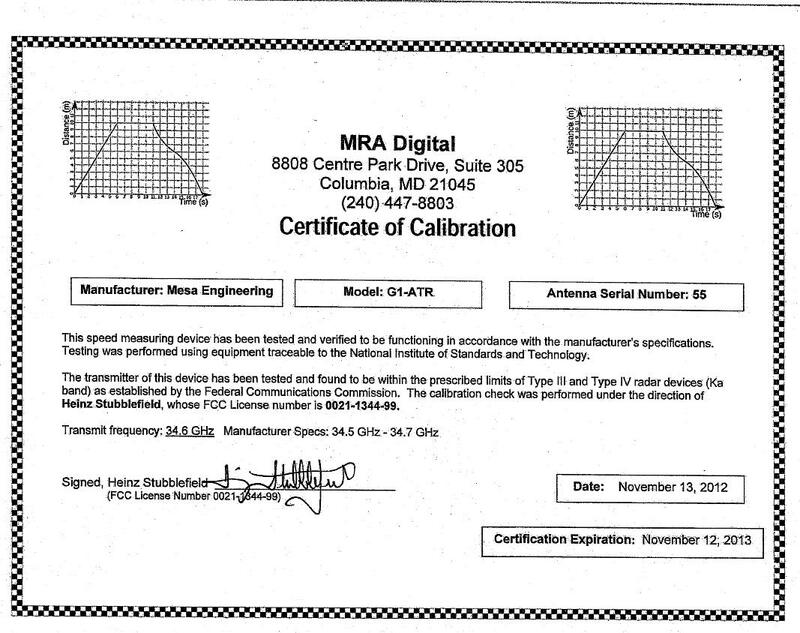 The certificate was issued by MRA Digital, and was signed by Heinz Stubblefeld. As you can see it is issued by the same company and the same individual. However this camera was not located in the City of Baltimore, but rather in the City of Rockville. This same type of camera is currently being used in Rockville in at least five locations (2100 Bock Baltimore Rd s/b, 2200 Block Wootton Pkwy n/b, 2200 Block Wootton Pkwy s/b, 500 Block W. Montgomery Ave e/b, and the 400 Block W. Montgomery Ave w/b). 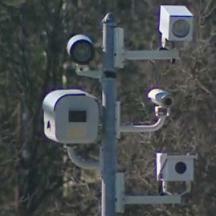 Baltimore County also uses this model of camera, the Mesa Engineering G1-ATR, provided to them by the same contractor. Below is a certificate from one of the SHA's cameras, which are now posted to the SHA website. While the camera is of a different make and model, the device was apparently certified by the same company and the certificate is signed off by the same person who approved the faulty cameras from Baltimore City. These two certificates also bear another similarity: neither device was actually tested for its ability to measure SPEED. 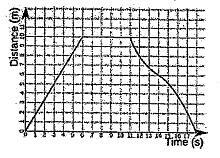 The "specification" for the Baltimore and Rockville cameras merely tested the frequency of the device. The specification for the SHA device is to test its "alignment", "low voltage monitoring", internal timing, and its ability to measure *distance* within about 1 foot. But neither one involved an actual speed measurement on an actual moving vehicle. In addition, neither type of device was certified to meet the NHTSA standards for radar or LIDAR. And neither type of device is on the IACP(International Association of Chiefs of Police) list of conforming law enforcement products. As a side note.... what do you suppose those little scientific-looking graphs at the tops of the certificates indicate? This is part of the test results right? Nope. It's a stock image taken from Wikimedia commons with no actual meaning whatsoever. 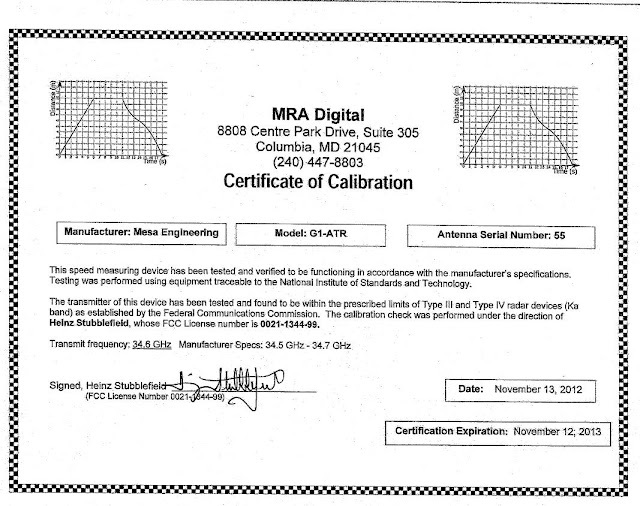 Basically these documents are something that would rightly be used to "certify" a Matel toy, not for proving the accuracy of a device under real world conditions to the level of reliability needed when taking thousands of measurements against passing vehicles every day. The SHA has stated in a "fact sheet" distributed to state legislators that "The best way to ensure the systems are in working order and to ensure public confidence in their accuracy is to demonstrate that the cameras are always calibrated. If the cameras are calibrated appropriately, they will generate accurate citations. MDOT can state that every camera deployed in the SafeZones program has remained calibrated and has been verified to be accurate." However this statement is obviously FALSE. The faulty cameras in Baltimore City passed all their tests and still produced errors. The SHA's cameras were procured and maintained by the same contractor (ACS/Xerox Corp) and certified by the same calibration lab (MRA Digital). The fact that the SHA has certificates for their devices does not prove they are accurate, it merely proves their paperwork is in order. The SHA's assertion is that their equipment is incapable of error, and so a means to verify speed is not necessary. At one point Baltimore would have made this exact same claim. The Baltimore Sun did an intensive investigation into the accuracy of Baltimore City's cameras, using the time stamped images and videos to prove a pattern of errors, and eventually the city and Xerox Corp were forced to admit the systematic errors. Such an investigation would be impossible with the SHA's cameras, and many other speed cameras in the state, since image time stamps from those citations are rounded off to the second and do not give any indication of the real time interval between frames. The SHA hardware was also faulted in an audit of the SafeZones program, which found that it did not meet all standards which had been established for testing, certification, and procurement. The state legislature is in the process of passing a "reform" bill which ignores all the calls to require secondary evidence of speed, and which does absolutely nothing to tighten the standards to which speed cameras are tested. The errors in Baltimore City were the reason reform legislation was being considered in the first place. Yet the legislature will now tell the public they have reformed the system without actually having done anything to correct this very issue. By failing to require speed cameras to provide secondary evidence OF SPEED, the Maryland legislature is participating in a cover up of future speed camera errors. By also failing to require devices be certified to a nationally accepted standard set by the NHTSA, they are taking the position that it is OK for speed cameras to be inaccurate so long as it is deliberately made impossible to prove it.